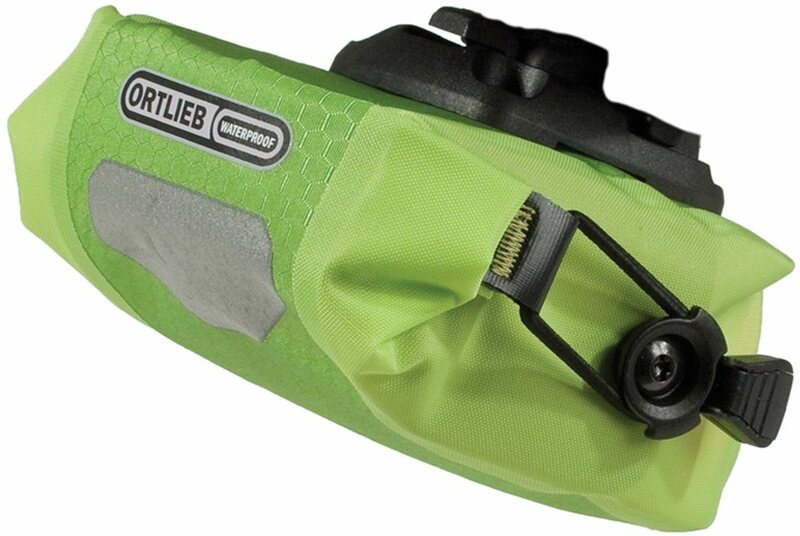 This ultra lightweight seat bag is ideal for any cycling discipline. Throw a tube, a tool, and your wallet in and you are ready to go! I have two of these. One with road-specific and one with MTB-specific gear. I bought extra mounts so that I can easily exchange among my assortment of road or MTBs. Very easy to use as a modular system. Totally weather proof. 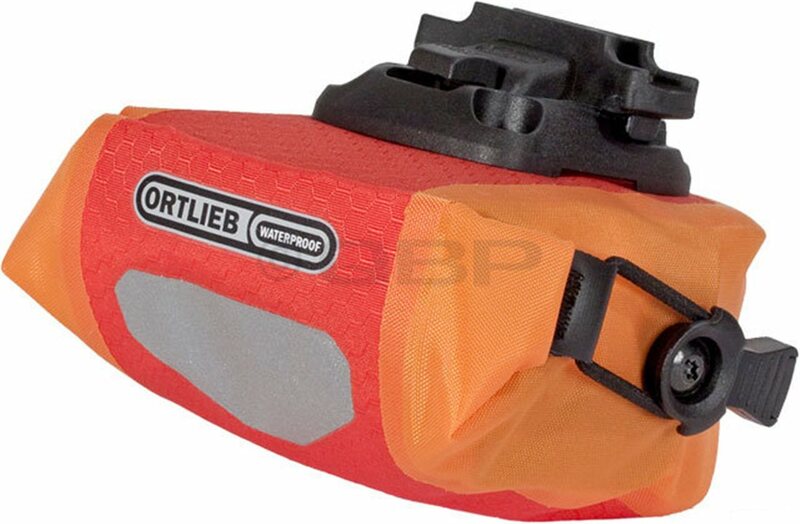 It will fit a tube, Co2 nozzle & cartridges, tire levers, tire boots, and a small tool without much trouble. The only thing I would say is slightly annoying is that it will rattle a little over rough terrain. It locks securely into place and won't come out, but it doesn't have a tight tolerance so it kind of vibrates some. Not a big deal considering most other sounds drown it out while riding. Waterproof, plenty of room, easy to setup. 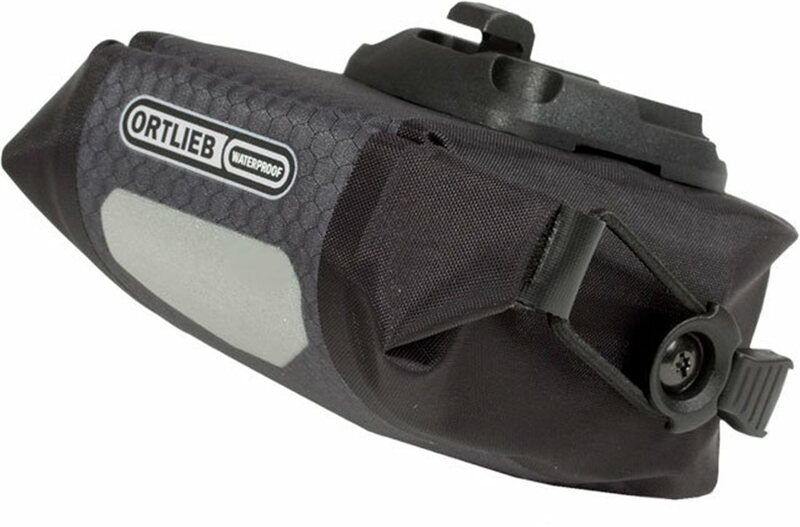 The other bonus is the mount is the same as their larger saddle bags, so you could adjust size to activity. Their large can apparently accommodate a pair of shoes + other goods, so it's some range. The only issue is the saddle attachment uses phillips head bolts, not hex, so a tad of a pain to tighten down. I bought this for my Salsa Fargo. A bit tough to get the 29er tube in there with some tools but I wanted something small. The mount is a nice idea but the execution could be a better design. This bag will keep your stuff dry. A better bag is the Arkel seat bag. Aside from this being smaller than expected, it also is a little tricky adjusting saddle to mount. If saddle is too far forward, the bag won't 'click' into the mounts and will fall off. I was looking for a bag that did not loop around the dropper post. This bag does that. It also holds multi-tool, patch kit, small first aid kit and room for maybe another small item. I can not get a mtb plus size tube into it with anything else. The bag fits perfectly on the seat rails and can carry all the necessary items. It’s a must for each bike. I would buy again. Wait.... I did. Great bag. I really like this bag. I bought one and when I started to use it, I ended up buying 2 more for friends. Nice design. Buy.